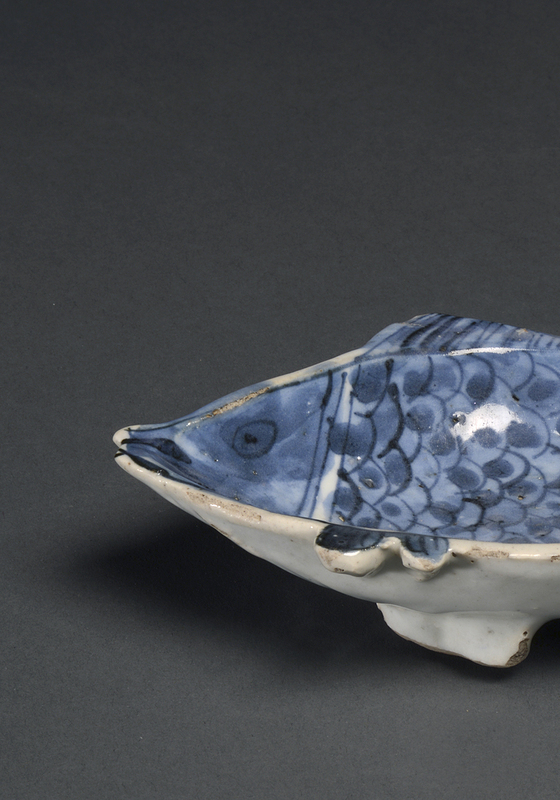 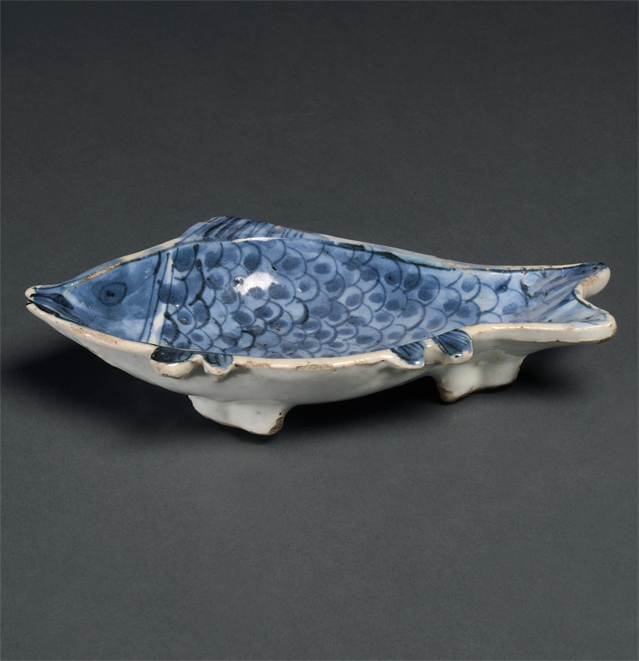 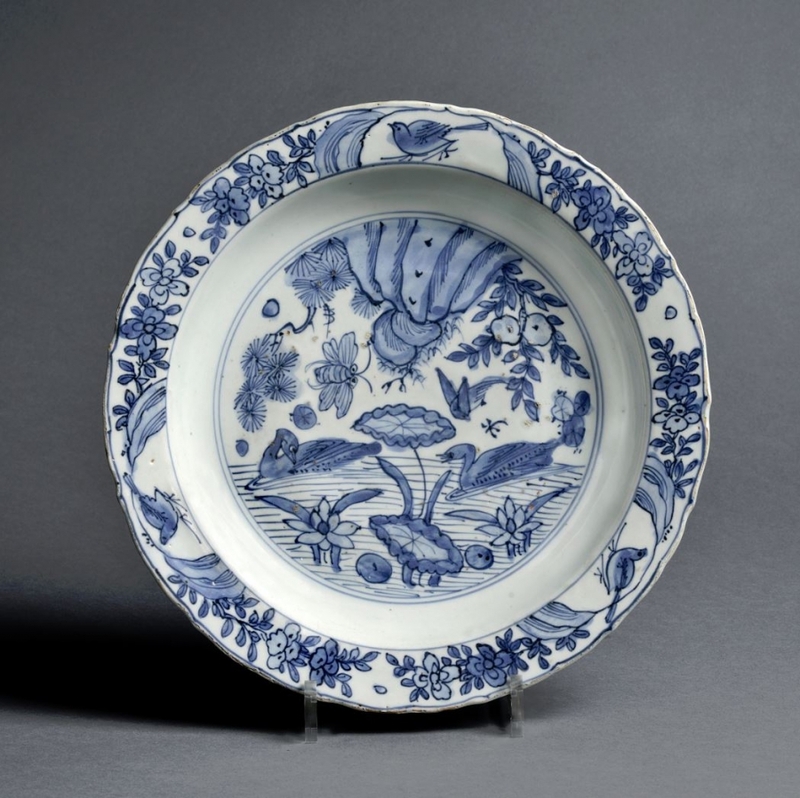 Saucer in the shape of a fish, standing on three stands. 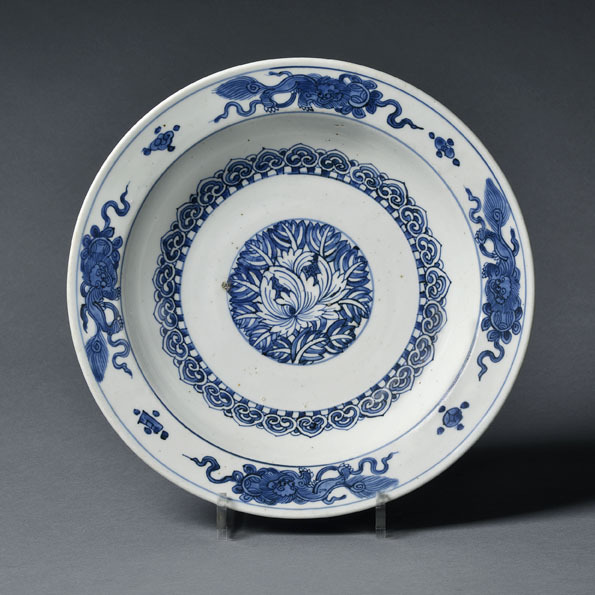 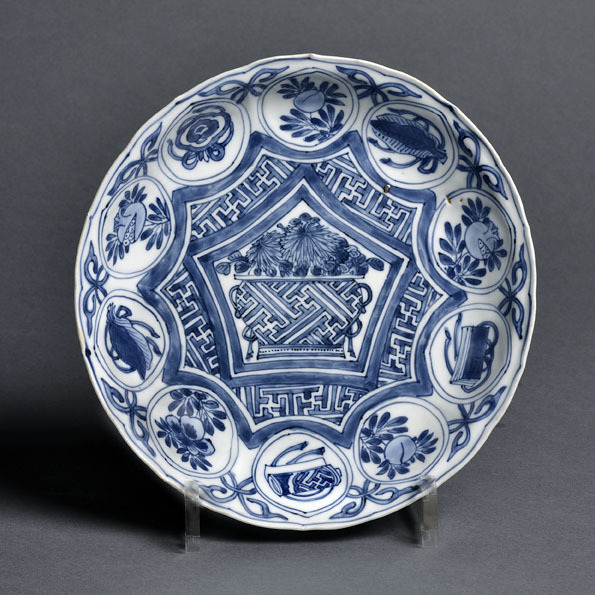 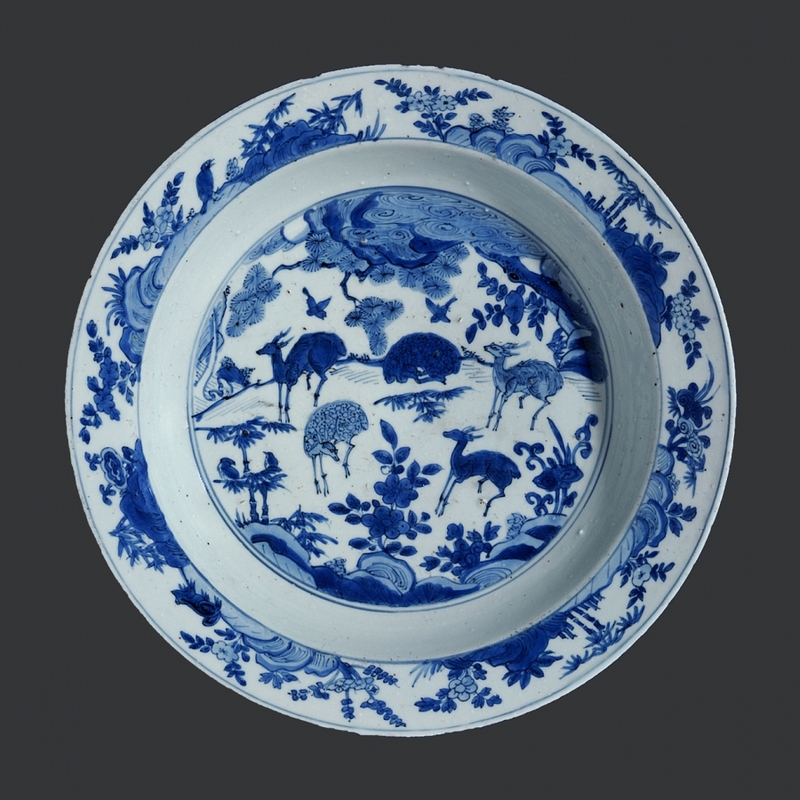 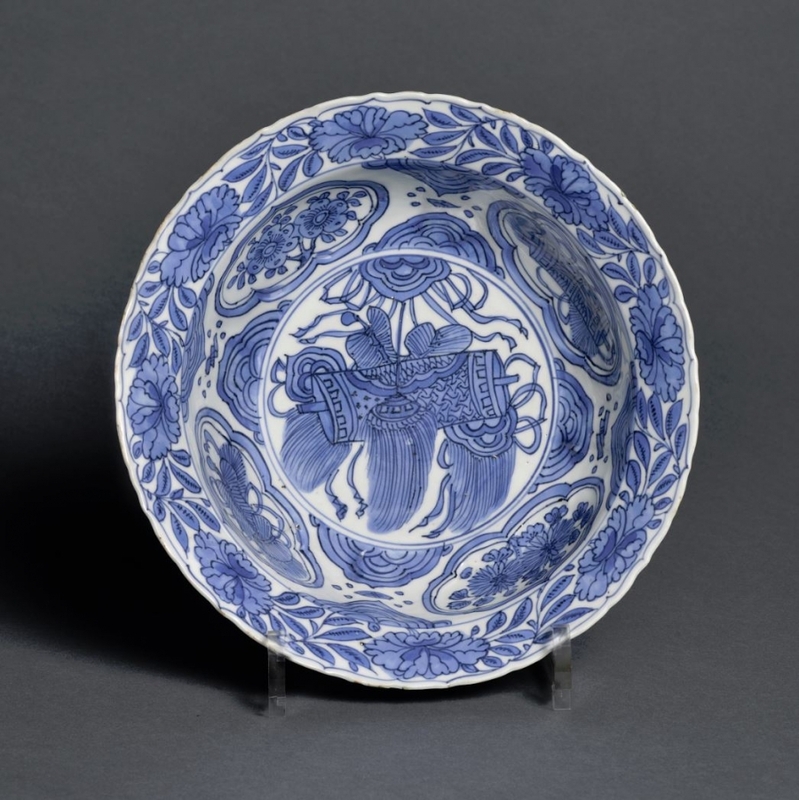 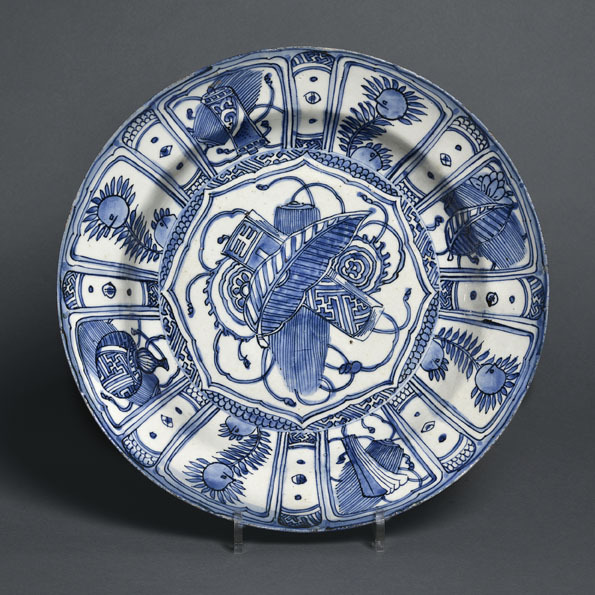 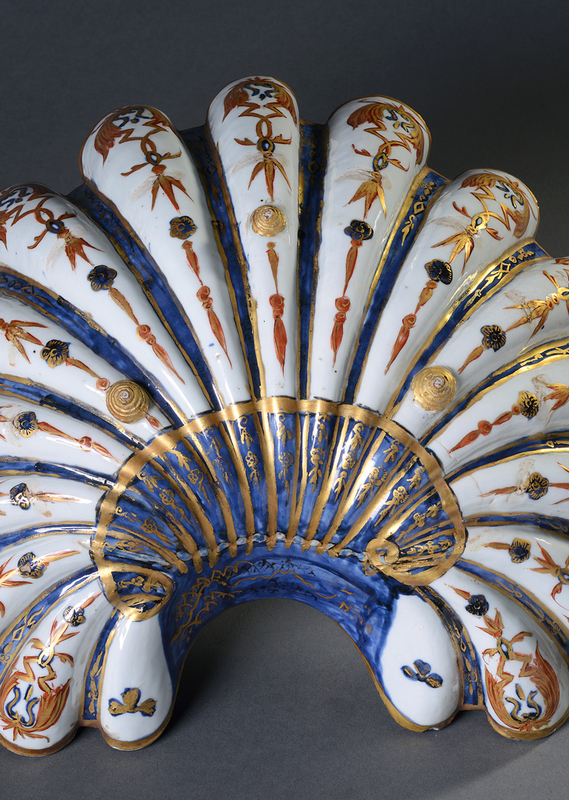 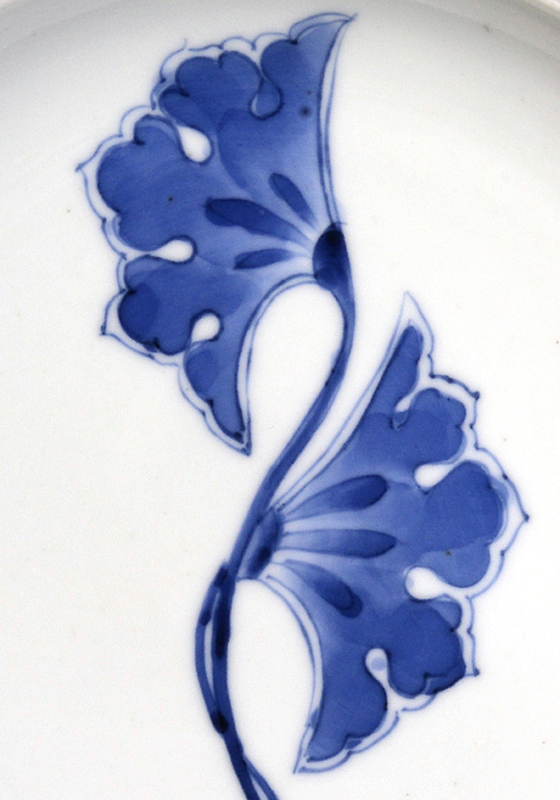 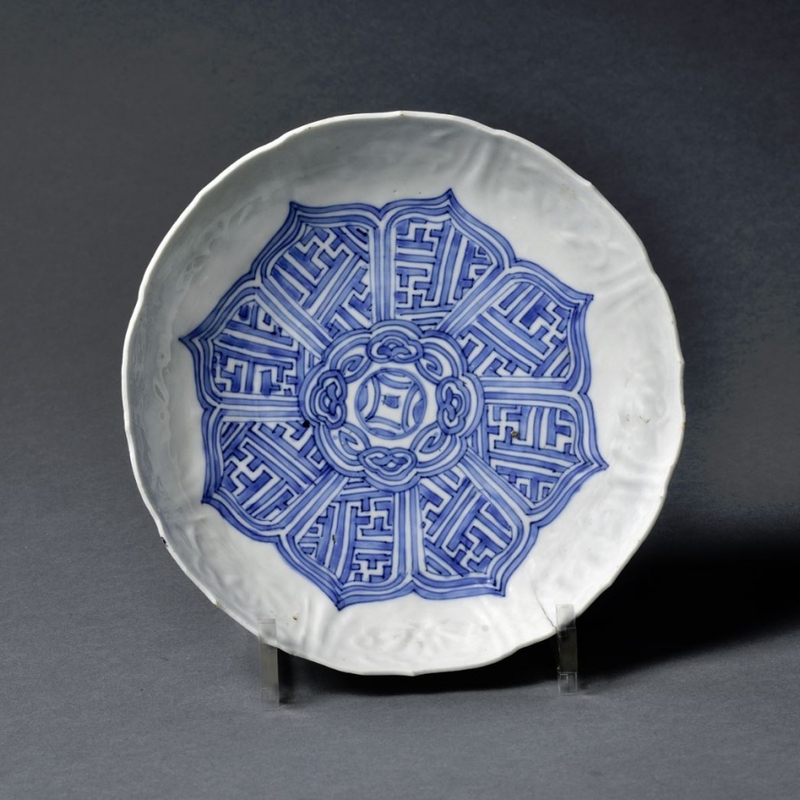 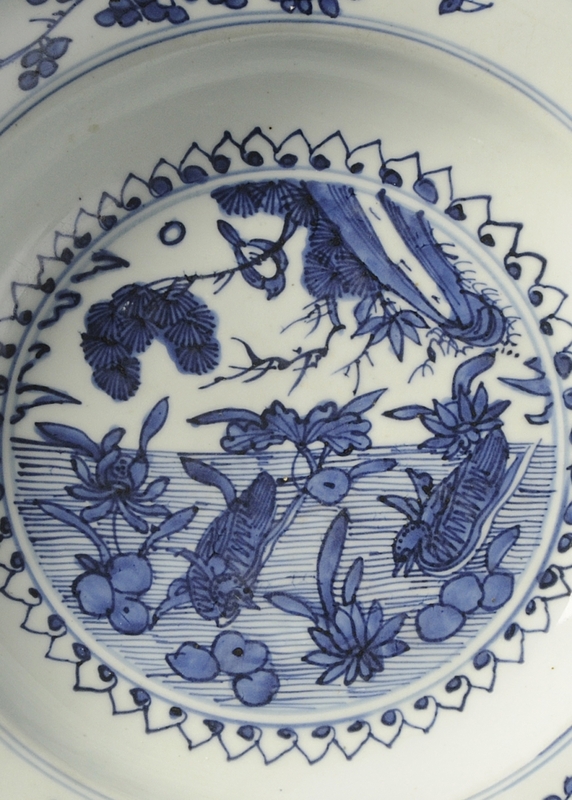 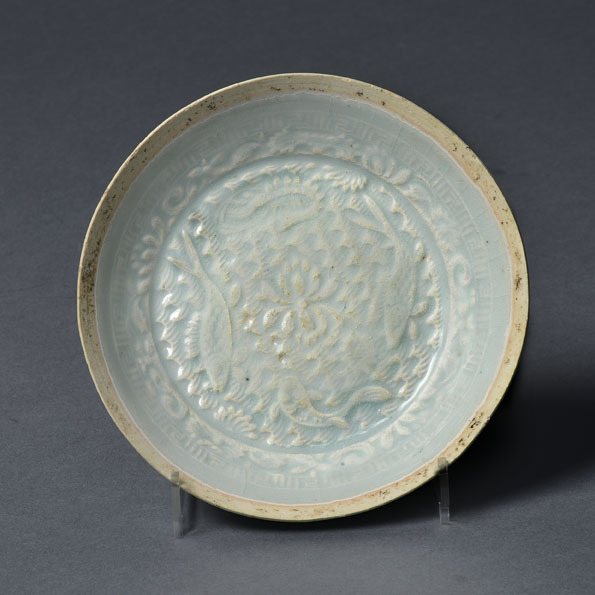 A 'Kosumetsuke' saucer made for the tea ceremony decorated in underglaze blue, the eye en reliëf on the back. 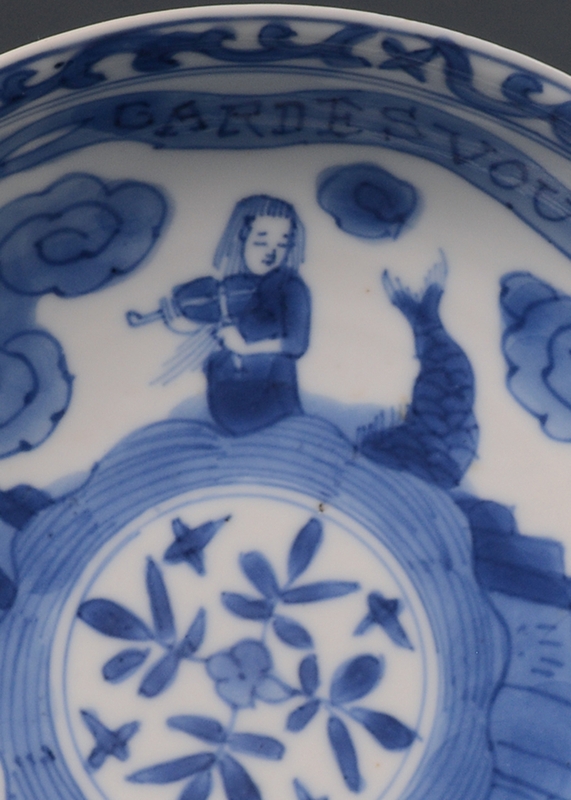 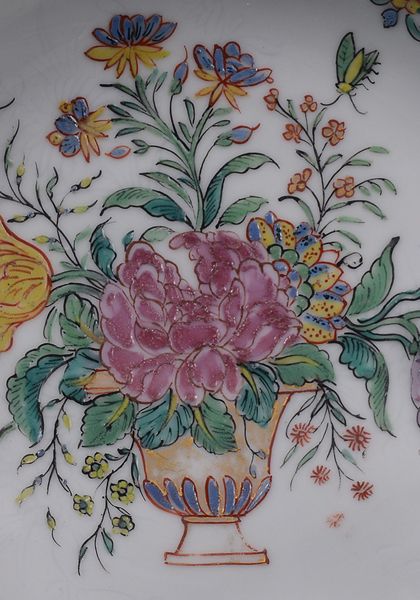 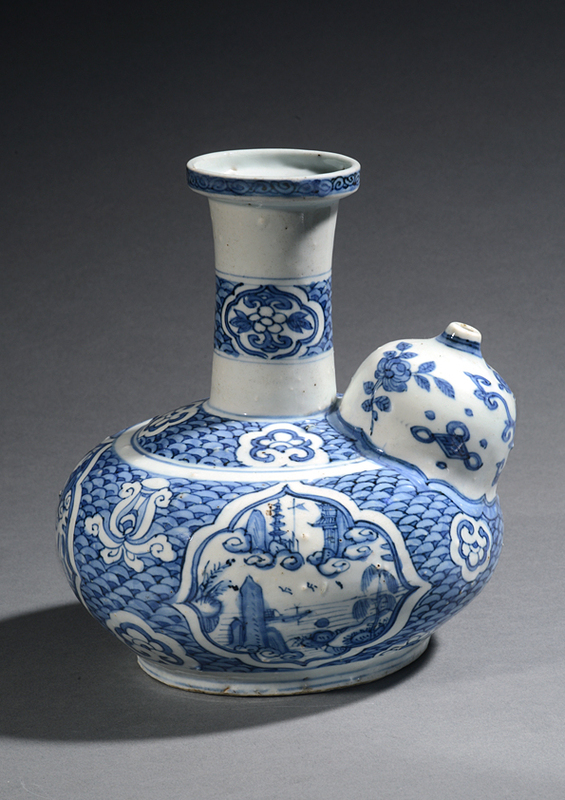 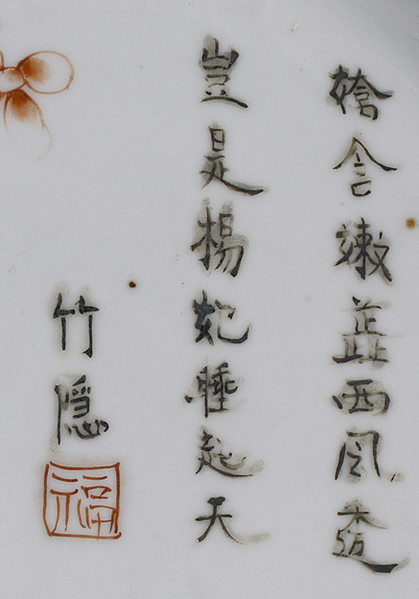 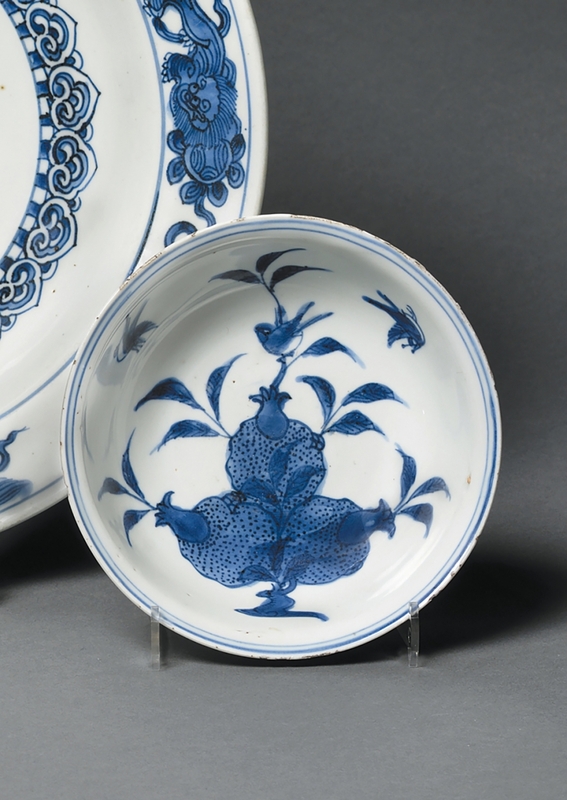 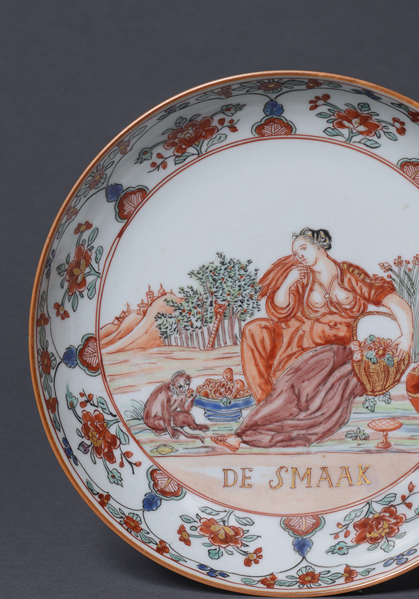 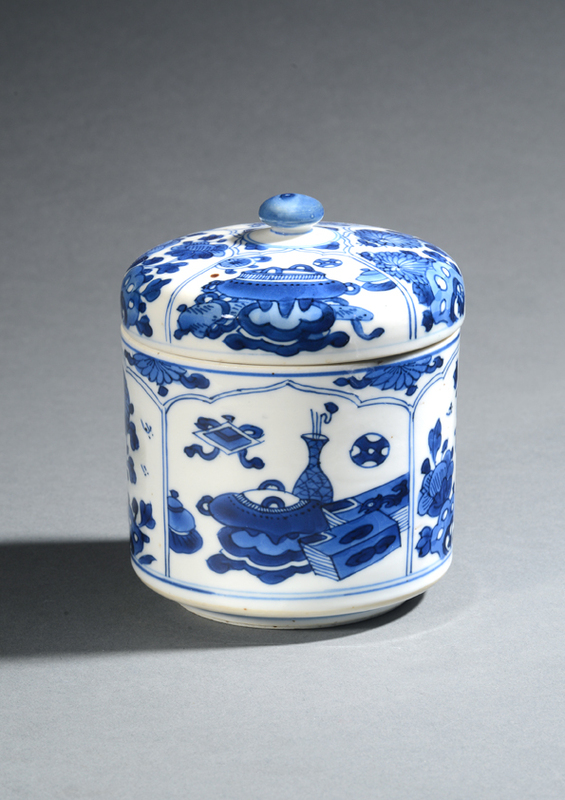 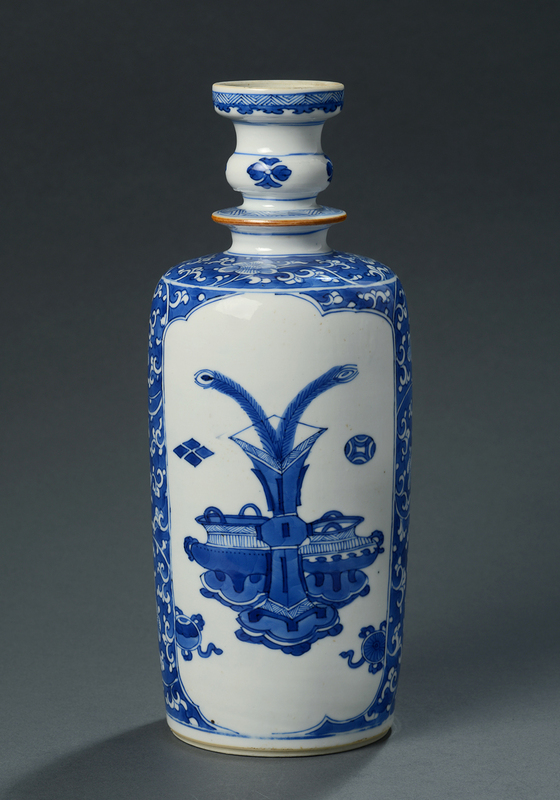 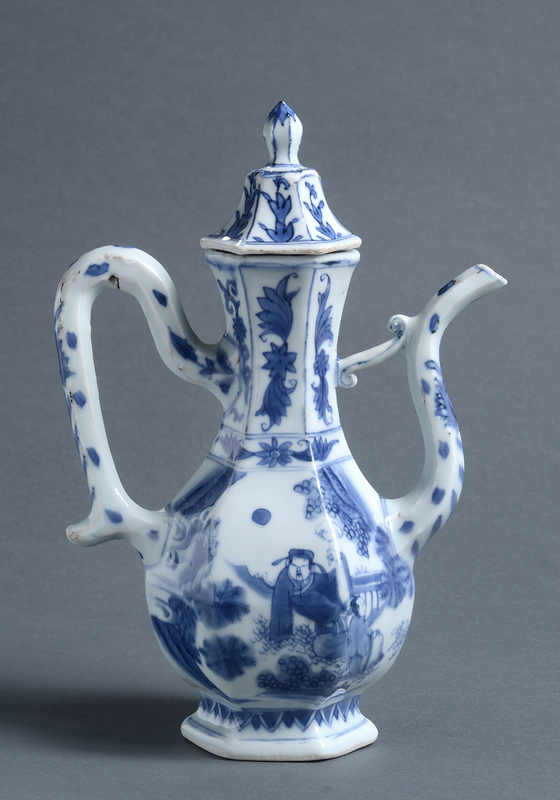 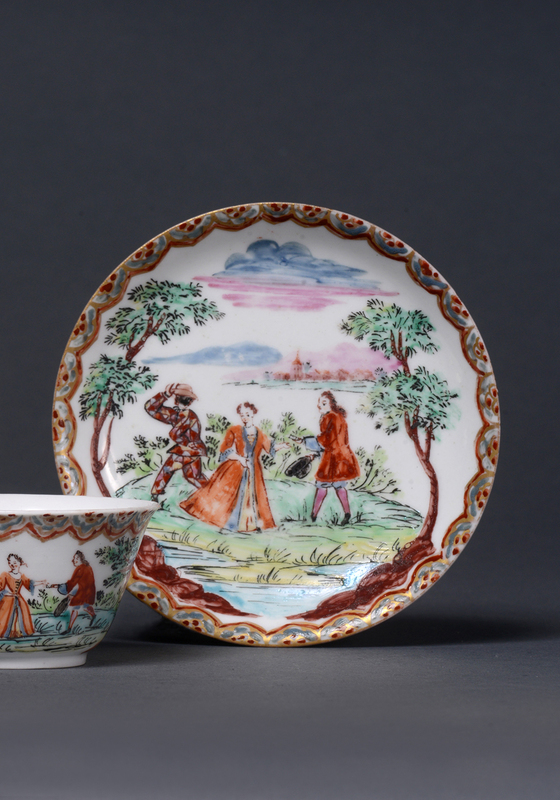 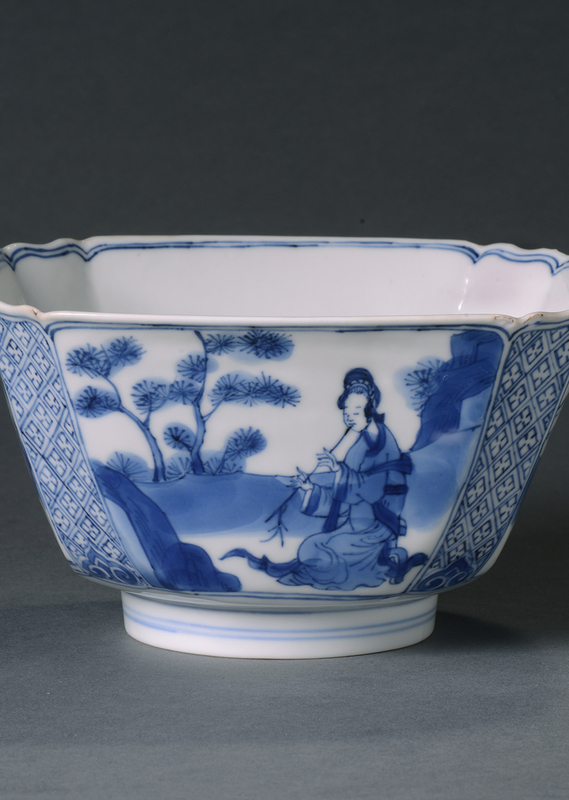 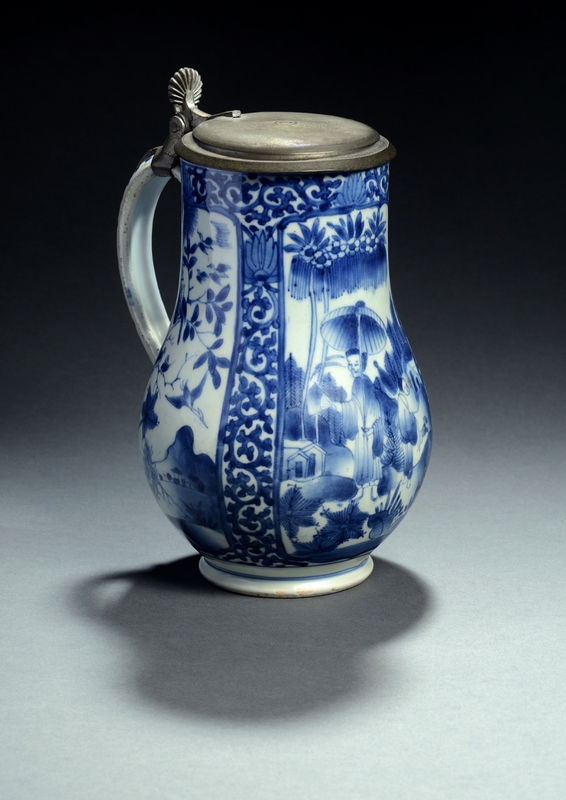 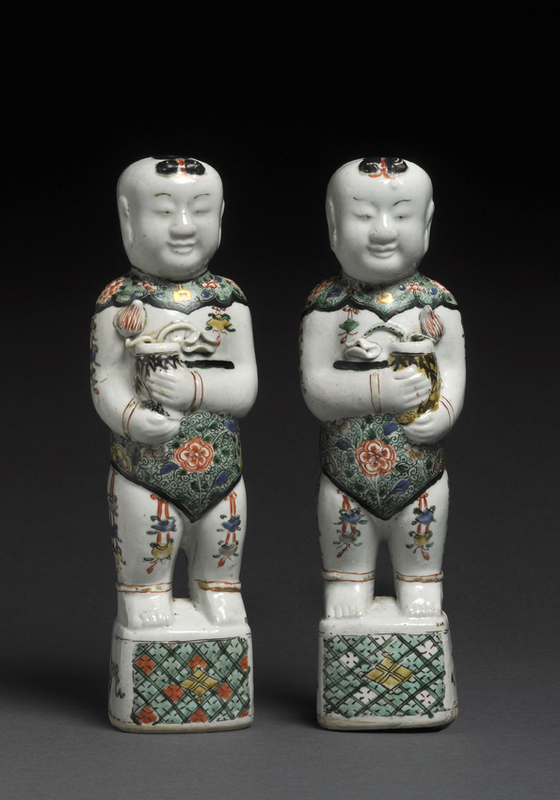 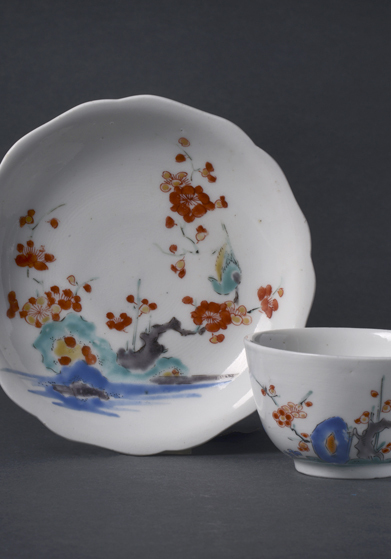 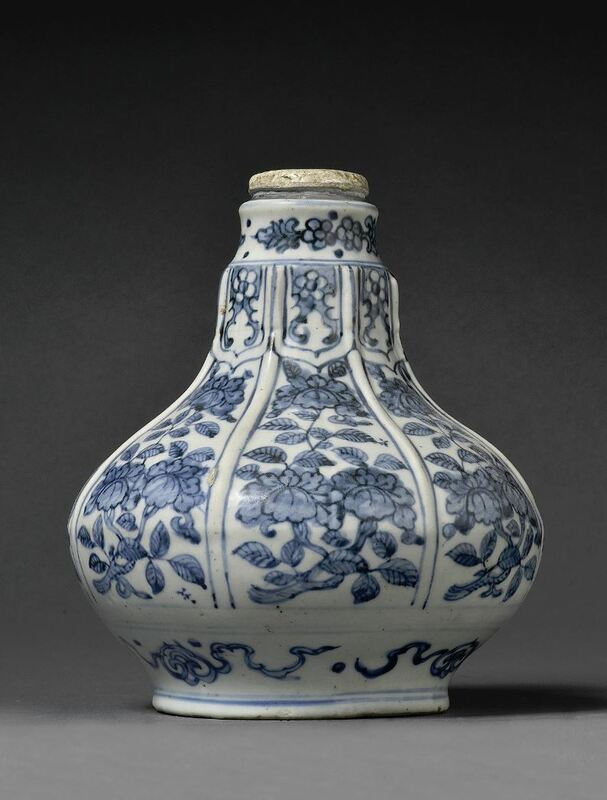 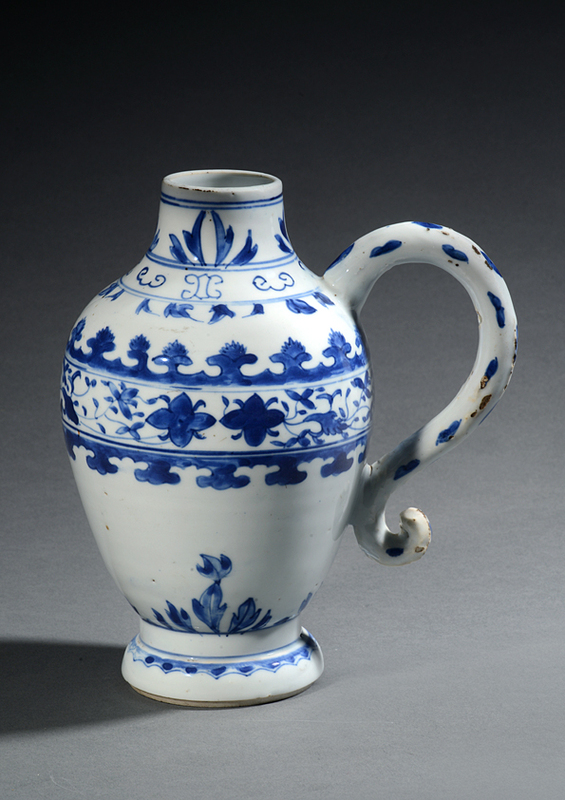 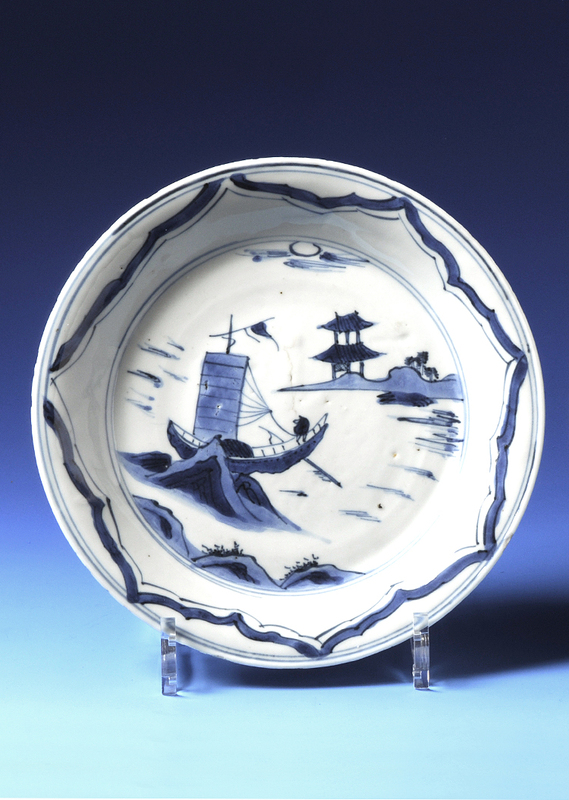 Chinese porcelain for the Japanese market.